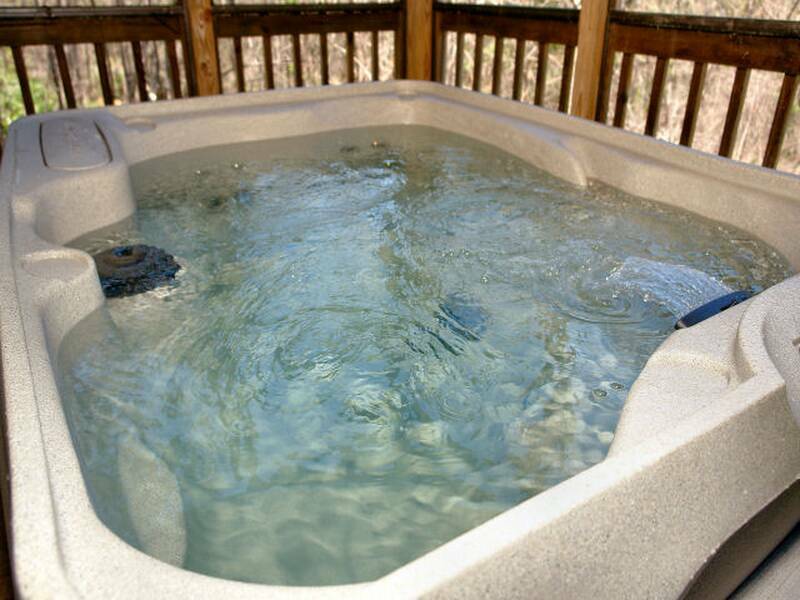 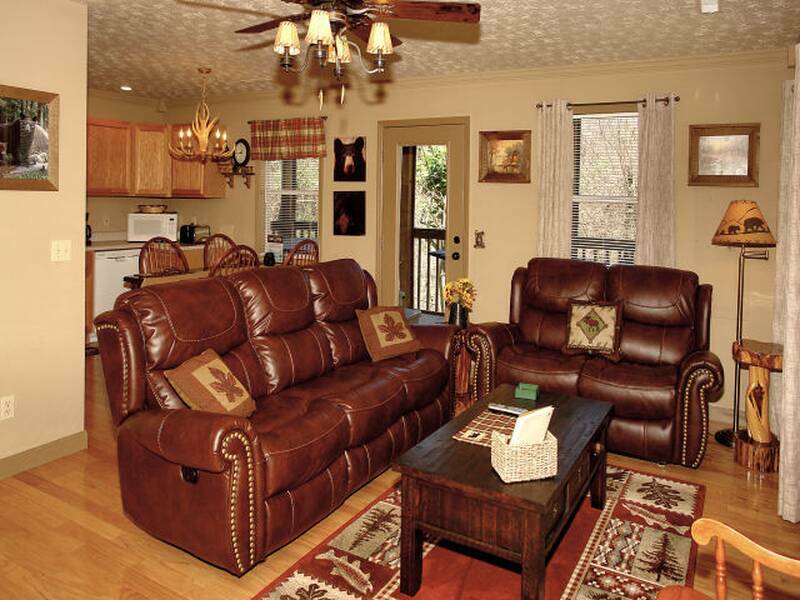 Lazy Bear Den with its floor plan makes it a perfect family or couples getaway. 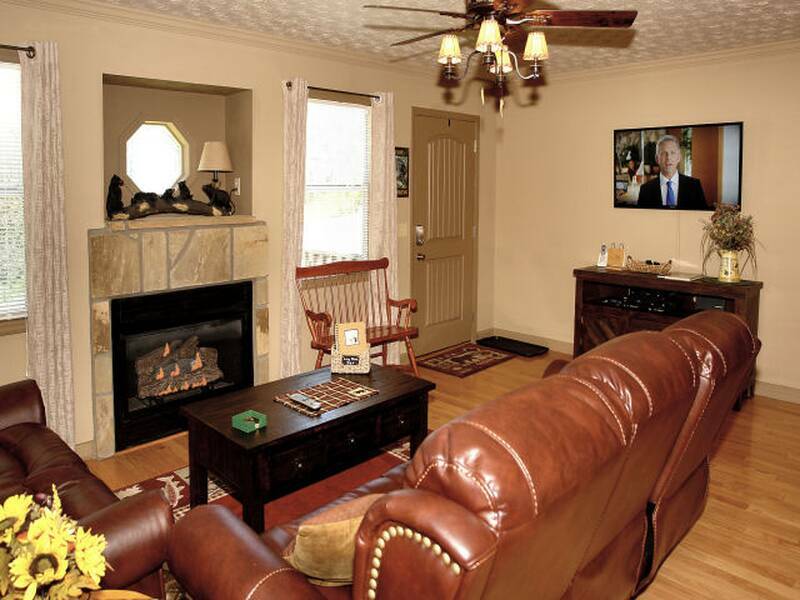 Upon entry into the its open area living room with its large flat screen TV, gas fireplace and free long distance phone service with wireless internet, you will feel the at home atmosphere that compliments Lazy Bear Den. 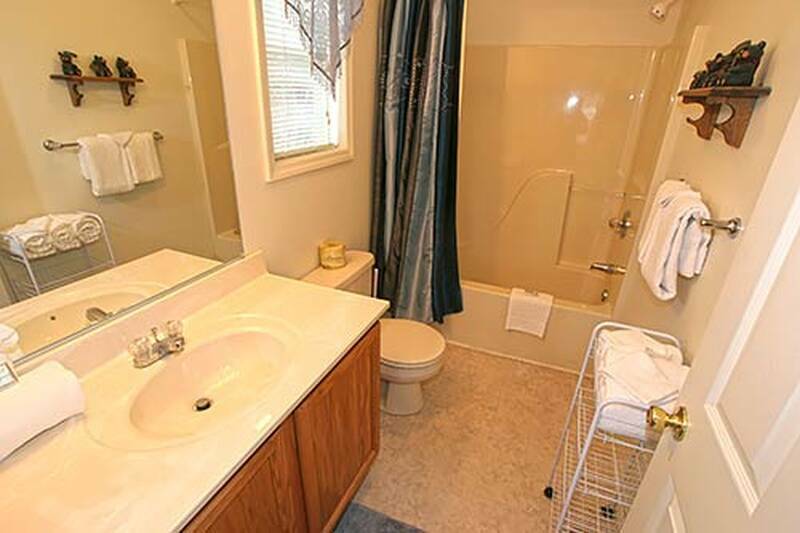 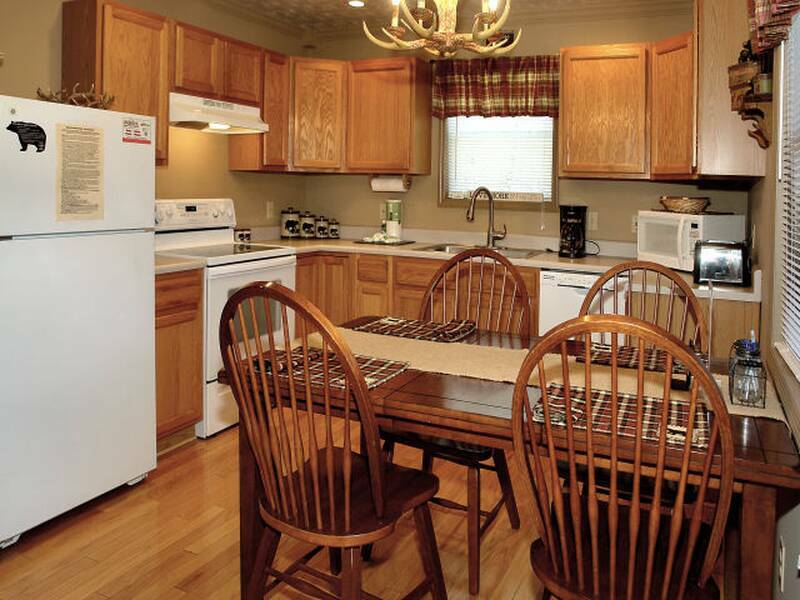 The dining area and fully equipped kitchen is all encompassing with the open living area as well. 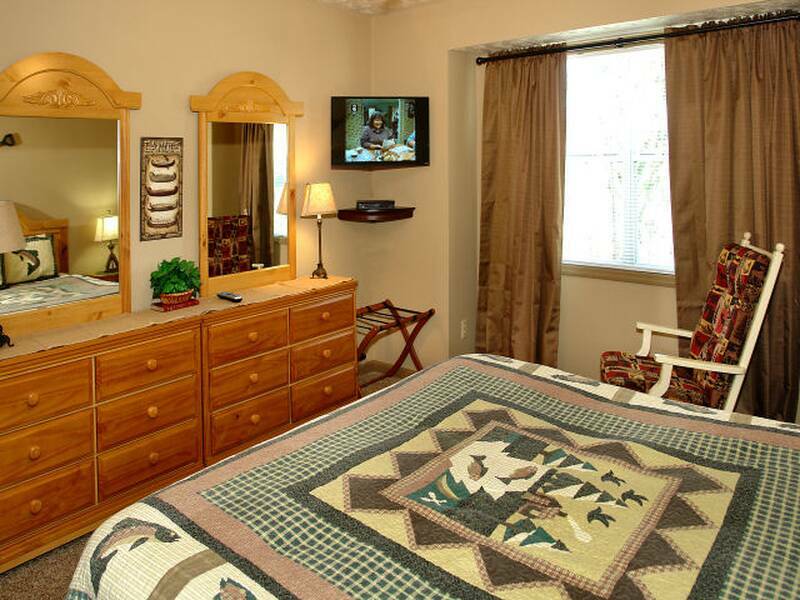 There are 2 King bedrooms; one on each level complimented with their own private bath which makes it perfect for family and couples. 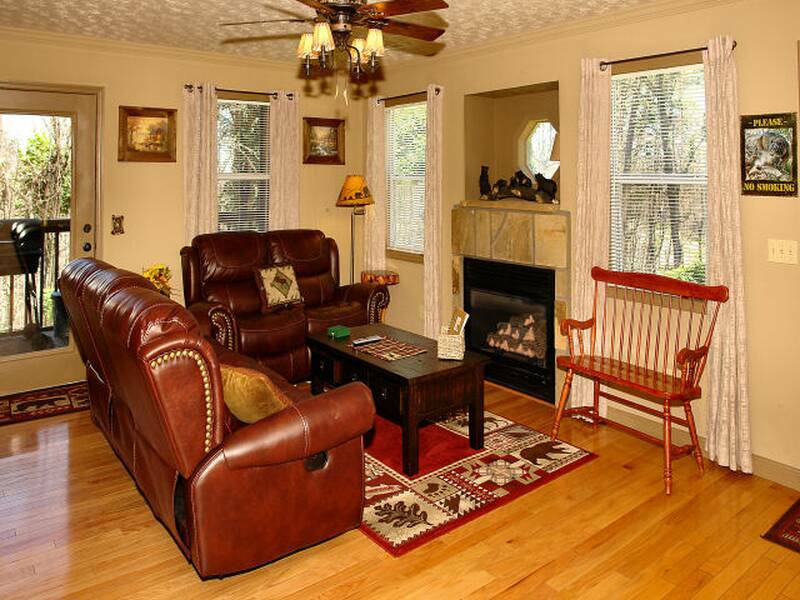 The large upstairs game room with its pool table, flat screen TV, table with seating for 4 and Futon will most likely be the area that everyone will gravitate too. 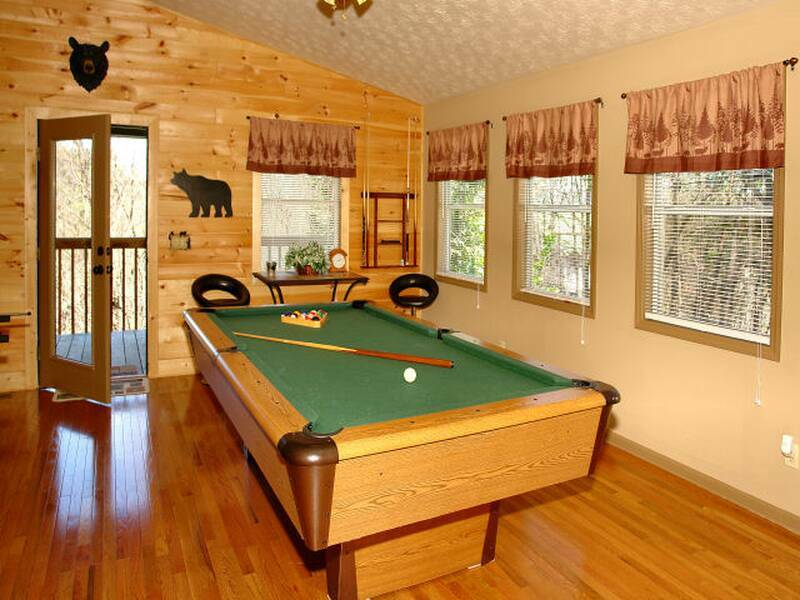 Whether you're showing off your billiard skills, or setting down to enjoy a movie, Lazy Bear Den is well suited for the perfect vacation getaway. 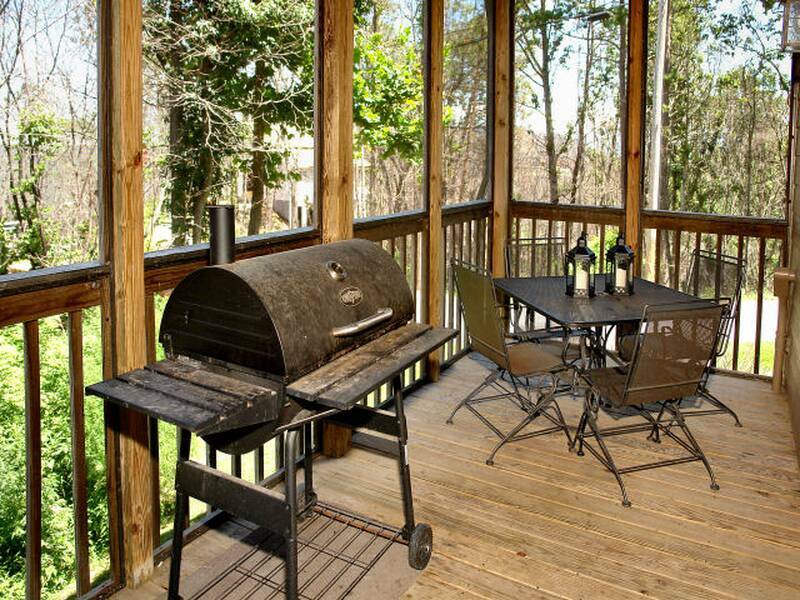 After a long day of shopping, hiking or just hanging out, set out on the patio deck or cook out on the charcoal grill for the perfect Smoky Mountain atmosphere. 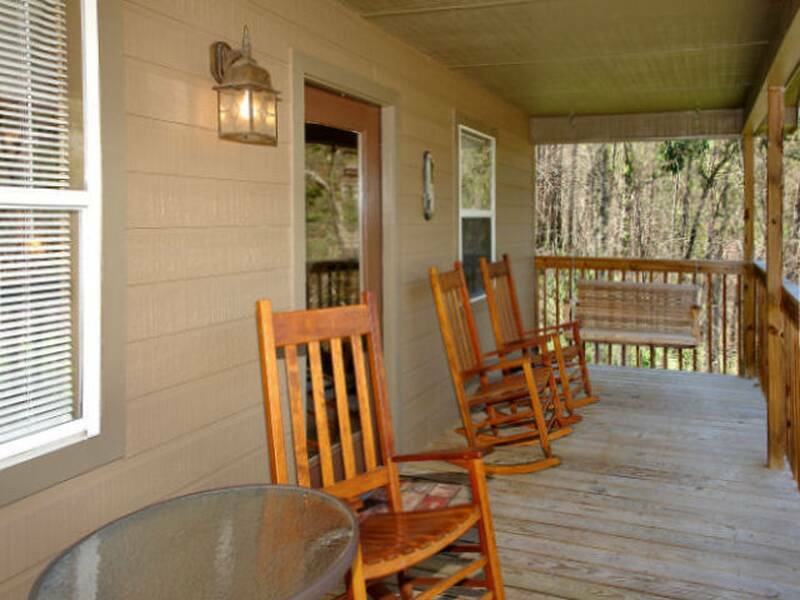 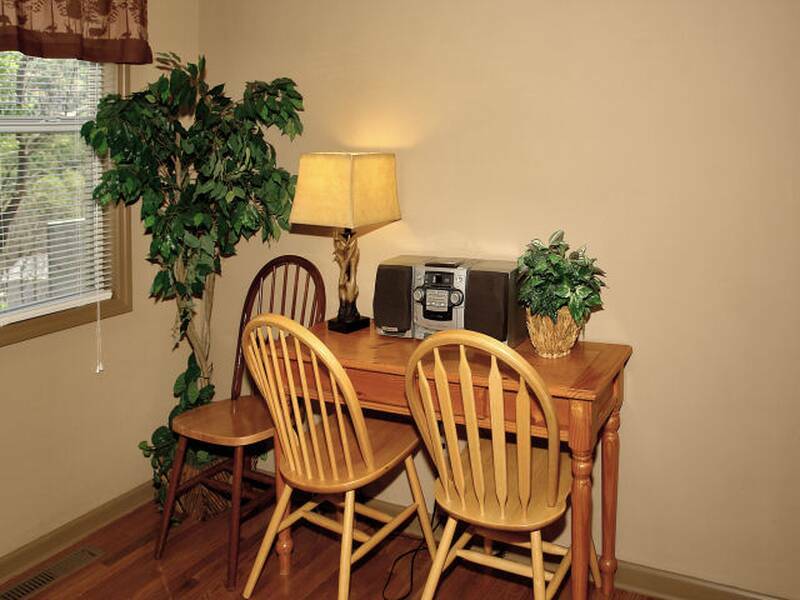 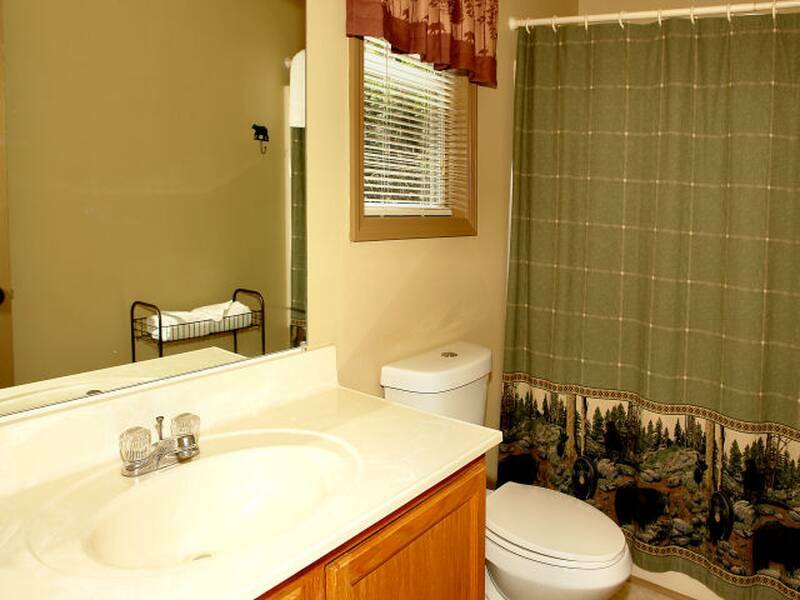 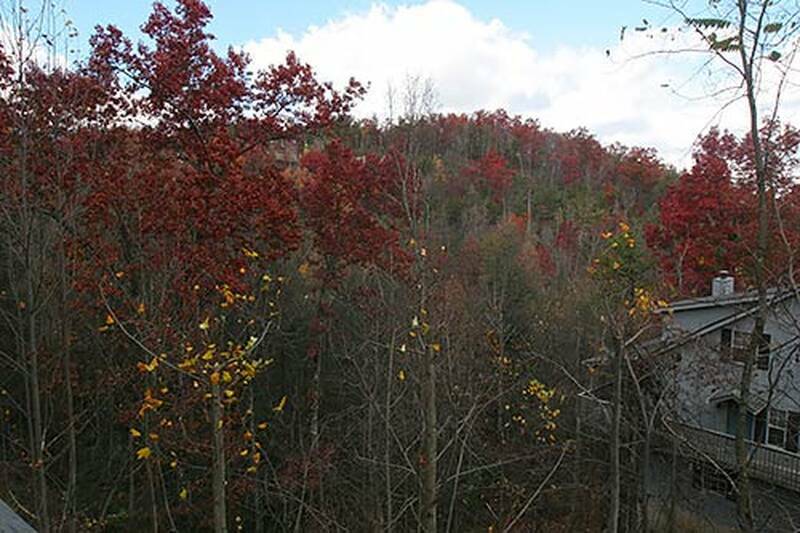 Located just 7 to 10 minute from either downtown Gatlinburg or Pigeon Forge, makes it one of the most conveniently located in the area. 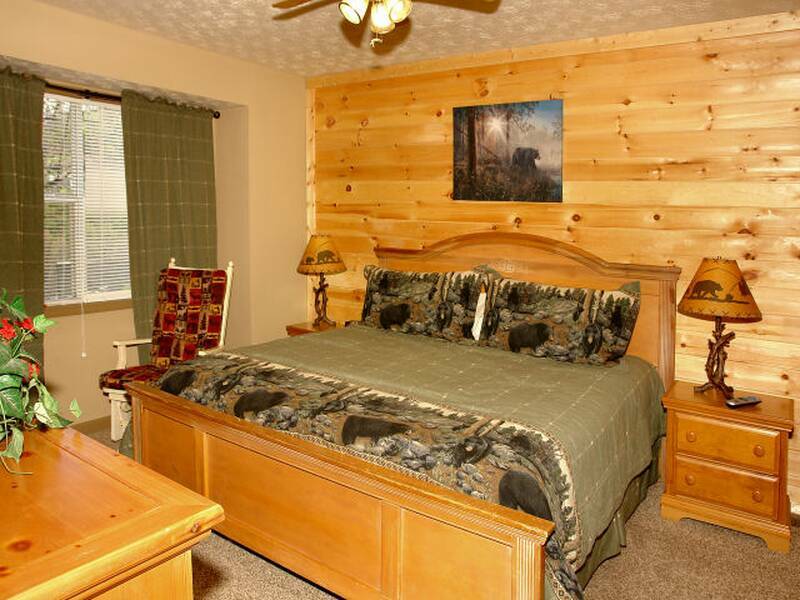 Easy parking for three vehicles and with over 1800 sqft of living space, makes Lazy Bear Den an exceptional value both family and couples. 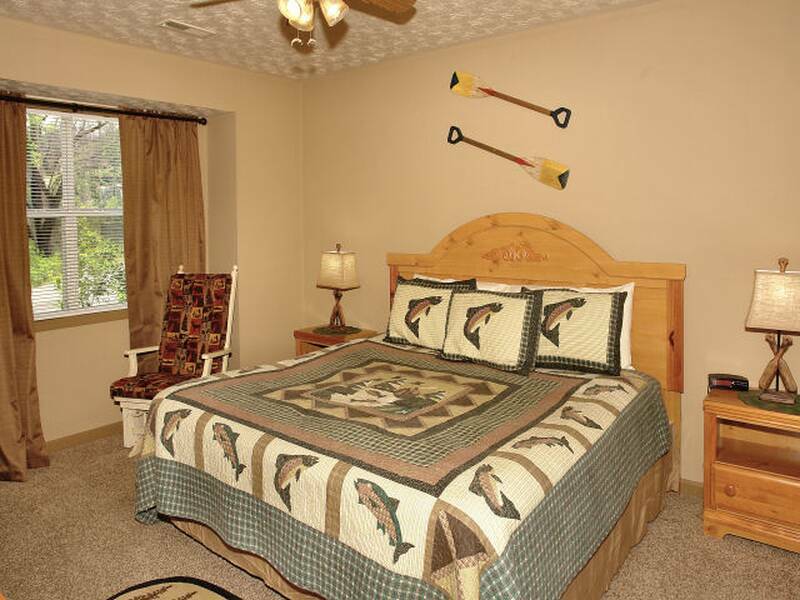 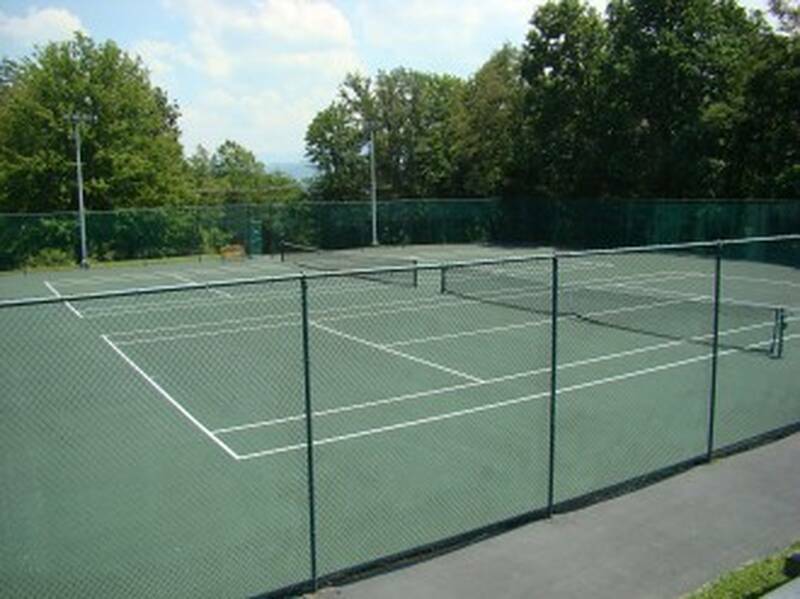 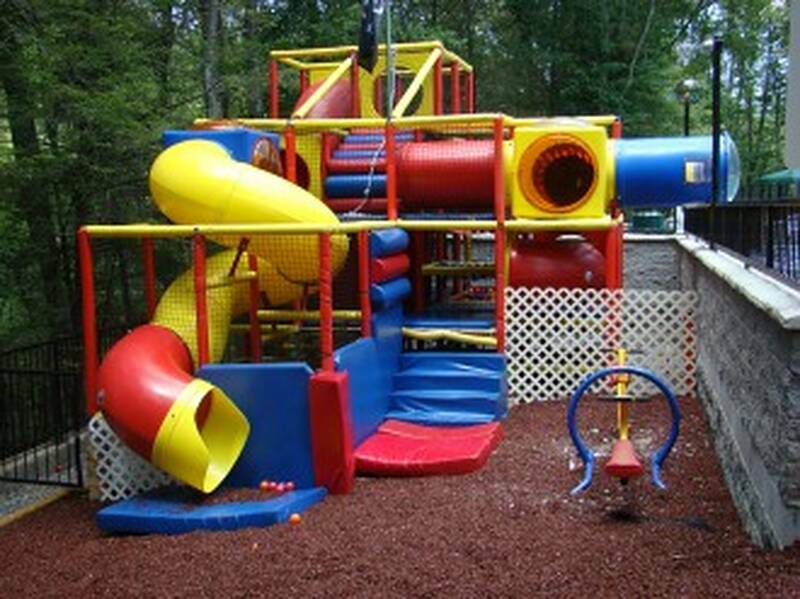 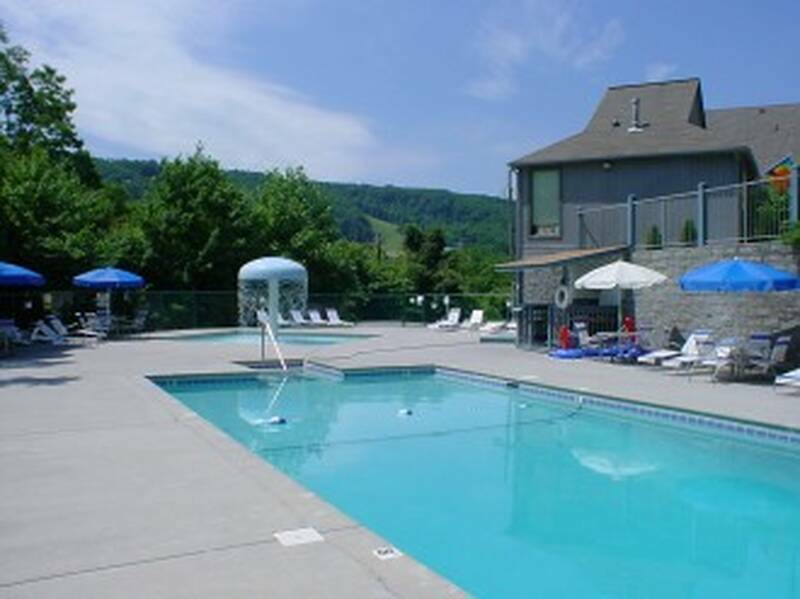 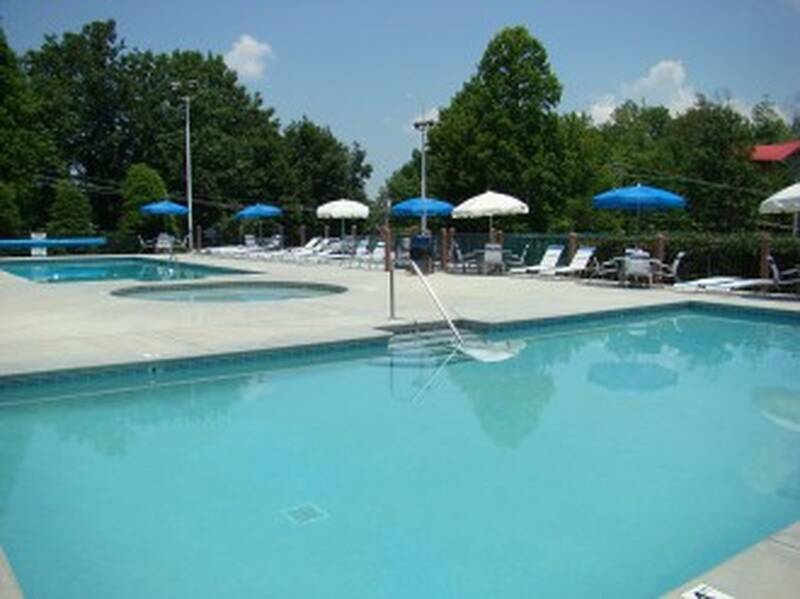 Lazy Bear Den also offers thru the Homeowners Association Multiple Clubhouse Access (3); Seasonal Swimming Pools (3);Basketball goals (2), Tennis Courts (2); Gamerooms (3);; Playgrounds (3) and Workout Rooms (3).